A physical or emotional shock is called conmoción. This is also the word commotion or concussion in English. To be specific, if you are talking about a concussion of the head, this is called a conmoción cerebral. A direct translation of the Spanish word into Engish is con meaning with and moción meaning motion. With motion. The word concussion in English means with violent shaking (from the Latin com + quatere). While ropa is the common term for clothes or clothing, the word indumentaria is more of a formal term. It is often used when talking about apparel or garments for a specific activity. Not necessarily a uniform, but often uniforms are considered indumentaria. An example: indumentaria para bomberos would be the special apparel that firemen use in their work. I have an Argentine friend who often repeats himself (he is 86 years old) and says that he is chinchudo. It took me a while to figure out the meaning of this word. It is grumpy or easily annoyed. Sometimes he uses it with the idea of having a short temper. This is definitely an Argentine word. It comes from a slang called Lunfardo which is primarily only found in Buenos Aires, Argentina and Montevideo, Uruguay. Maña is a word with many definitions, but in the context I heard it in it meant bad habits. In that context it could also be quirky, cranky, odd or eccentric. When used this way it is usually referring to an older person who is set in his ways. The positive meaning of maña is a skill or a knack. Tener maña is to have a particular ability to do or manage something. Idiomatic expression with maña: Más vale maña que fuerza. Brain is better than brawn. 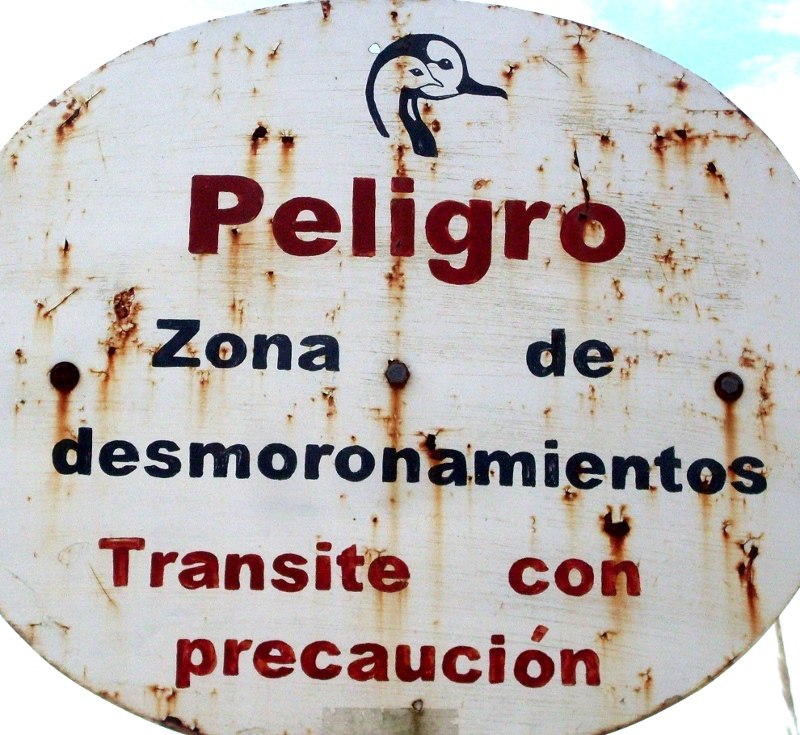 While walking in a park recently I saw a sign that said, “Zona de desmoronamientos.” I did not think it meant that they don’t want morons around, so I tried to figure it out from the surrounding area. I gathered it meant something like landslide or broken road. That is what I deduced from what I saw. The actual meaning is to break apart or to crumble. It is from the verb desmoronar. Figuratively it can mean coming apart emotionally. The idea of the word is that it is something that is falling apart bit by bit, or something being disassembled.